The imagery of a shepherd is huge throughout the scriptures. David, the king and example for the Israelite’s was a shepherd as a boy. In Psalms 23, it says that God is our good shepherd, and in John 10 Jesus is appropriately described as this. Pastors and elders today are still often called shepherds and you can literally find books upon books about living in this way for God. During the apostolic ministry, Christianity was very fragile. There were not very many who could lead, and so there was a huge emphasis on discipleship and building others up to then carry the word to others. Paul sees this as true, and realizing how easy it is to distort the truth at this stage, he goes about building those around him up for the ministry. Why do you think that he wrote the Timothy’s and Titus? Because he saw the need for the truth and for the truth to prosper. In our day and age, we do not see this fragility, and so there is a much lighter emphasis on discipleship in the church today. This is incredibly sad! We as Christians and future leaders of the church, need to be those shepherds to the lost and hurt, and we need to train others up in the light of the truth of the gospel. Paul’s meeting with elders and his letters to the churches are so important because there would always be sheep in wolves clothing. In the world as well as in the church, always trying to destroy what is good. “…most threats against the church are not coming from the outside (the government is not our greatest enemy, believe it or not! ), but from other Christians, “wolves in sheep’s clothing.” (P. Long). I have to agree with this statement, that the churches greatest threat comes from those who are in it. So many people in churches do not follow what the Bible says. They decide to make their own extreme interpretations of the Bible. That is why there is a health and wealth gospel that does not come from what the Bible teaches, that is why there are two different men in South America professing to be Jesus Christ the true messiah. You have Mormons who say that Jesus Christ is a glorified human, and so many churches go through divisions. You have so many people who profess to be Christian but their morality is the farthest thing from the Bible. There are just so many people who cause huge problems in churches and make non-believers stay away. Paul’s warning about savage wolves in the church is something all Christians will face. That’s a crazy yet true thought about the church. “Most threats against the church are not coming from the outside..”. There will always be wolves in Sheeps clothing. So what can we do about this? Paul said to “keep watch over yourselves and watch the flock”. How do we help Christians? We pray for them, we be there for them and show them the truths in the scripture. There will always be people who try to question what you believe or tell you different ways that it is wrong but we stay strong by having each others back and sharing in the truths of the gospel through fellowship and bible study. Also I agree that the term “shepherd” in the bible means alot. Why the shepherd? Because like sheep, we are dumb and have no idea where we are going. A shepherd tells the flock of sheep where to go. He directs then. In this way, Jesus is the great shepherd. He will direct our paths and help is against the wolves. Shepherd’s are often used to describe taking care of a church because they watch over their flock (Congregation) like shepherds do and keep out any dangers or people that are not advantageous to the church’s mission. David and Jesus were both referred to as shepherds in different areas of the scripture. Believe it or not but there are usually people in every church that do not have the heart of Jesus but are using their position in the church in a prideful way and only seeking a position of power. Paul, seeing this tendency of humans, addresses the problem and reminds his shepherd to “keep watch over yourselves and watch the flock” both to address the wolves in sheep clothing and so they themselves do not become the very thing that Paul is trying to prevent. Self reflection is necessary in ministry to ensure that one’s heart remains pure and they are in ministry for the right reason. like when DJ touched on“Most threats against the church are not coming from the outside..”. because this is a common threat that many churches face in the 21st century. A shepherd is useful in this situation because not only do they address the problems or threats that come within the church, but if they have done this before they can prevent any problems that come from within before they even come up. A strong shepherd or active awareness in watching the wolves that can come into the flock is essential in keeping the church to its sole mission … reaching the lost for the kingdom of God. I believe that Paul had something in mind that he was trying to warn them of, something important that he knew would be coming so that’s why he was in such urgency to go there. Paul warns the elders because they are in charge of the people in the church, like shepherds to sheep. Paul tells them a metaphor in the terms of a wolf because wolves attack sheep and so he is in such a rush to warn them of those that would attack the church and the people in the church, the sheep. He gives them the responsibility of protecting and guarding the sheep from the enemies. He makes it clear that he wants them to be worthy of watching over the sheep and not to live lives that are unworthy of protecting them. Paul makes it clear that there are people that was to take down the Christians and see that they stop worshiping God. Paul warns them that some of the people are actually in the church and have bad intentions for those in the church and seek to destroy some of them. Paul wants them to be alert so that they can stop those from distorting the truth to the Christians. I think that this is something that we can keep in mind today. There are some people in the church that may want to run it a certain way that is not taught in the Bible, even embezzlement. There are many things that I have seen in my own church and heard about in other churches where people get selfish and seem to want to see the people in the church go down. This is a growing problem in today’s churches, especially the bigger ones. While not every massive church body has this problem, they are at a disadvantage. When a pastor (shepherd) is overseer over thousands of people (sheep) can he keep an eye on all of them? Can he recognize a “wolf in sheep’s clothing” even if they all blend together? I’ve never been a pastor or shepherd, so I cannot say for sure, but it seems as if the answer is no. This is why Christianity was, in my opinion, more effective in the first century than it is here. In the early days of the church, they did not all congregate in one building. P. Long mentions small house churches. This was the church of that day. Unfortunately, though it makes sense, we have accepted a church that congregates one building. In this way, they are at a disadvantage. Wolves can hide in big crowds, but they cannot in smaller crowds. However, as P. Long points out, Paul is warning small church bodies about wolves in their midst. So the problem, as presented in the 21st century, is not just in the big churches, but it is in all churches. Satan places his agents in whatever church will let them in. Even the smaller groups must be vigilant and watch for those who seek to undermine the work of Christ in His church. Paul gives advice to the elders from Ephesus to be aware of people who try to teach false doctrine to lead the church astray. Paul met the elders of Ephesus in Miletus to have a special meeting with them (Acts 20:17). Paul warns the elders that people from their own church are going to rise up and “distort the truth” (Acts 20:30). This is a great message not only to the elders of the church in Ephesus, but also to pastors today. Dr. Long says, “Perhaps the most disturbing prediction is that these wolves may very well arise from within their congregation – some men will arise, distort the truth, and draw disciples away after them” (“Savage Wolves” post). This is how many church splits happen. A person finds a different method of studying the Bible or a “new revelation,” and he gathers a group to follow him. It is important that Christians are evaluating what they believe based on the Bible not on what other people say is true. They need to always use the Bible as their guide and have scriptures to support their beliefs. Pastors have to be looking for hazards that could destroy the health of the church because oftentimes it comes from within the church. I definitely agree with P.Long that “most threats against the church are not coming from the outside” (P.Long). The church is its greatest enemy. When I read through Galatians 5:19-21, the works of the flesh, I see how evident they are in the church, and my life, still today. The desirers of the flesh can truly tear down the individual. The hungry wolf dives in for the attack after the works of the flesh drive us apart. But there is good news!! In the book of Ephesians we know that the shepherds, (and teachers) are equip for the work of ministry, in order to “Build up the body of Christ,” the church! Also in Ephesians we see that we, as Christian, are given the Armor of God. “Put on the whole armor of God, that you may be able to stand against the schemes of the devil” (Eph 6:11). We, Christians and the church, are in a battle against spiritual forces. It is our job to put on the whole armor of God and “Keep alert with all perseverance” (Eph 6:18) Although Paul’s words are scary and we should heed them rightfully so; we also have hope and do not enter the battle field empty handed. I think that it is very fitting for Paul to use the example of sheep and wolves not only because of the responsibilities of a shepherd in relation to the congregation. It would also have been an illustration that was familiar to the elders in the church. Many heroes from the Old Testament had the occupation of shepherd, such as Moses and David. 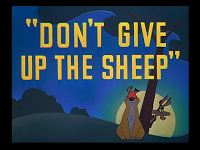 Paul’s warning was to watch out for wolves among the sheep, something that may have been occurring in the church. As all good advice, it is applicable at all times and the church would have been wise to take Paul’s advice into account. The fact that the church was definitely different from today’s church also adds to our understand of Paul’s warning. If the churches were small house churches, there would be more opportunity for dissension and easier for a false teacher to come in and deceive the congregation. There is strength in numbers, and a cord of three strands is not easily broken. This is one of the reasons why accountability is so important in church. It is scary to think that this still happens in today’s churches. Unfortunately it is not usually dealt with the same way that Paul dealt with it. He brought it up and dealt with the problem right away, as Heather said. I can not agree more with the rest of her comment. When you bring something up like that in the church today, people get mad, and eventually possibly split the church or they just leave to go to a different church (which was not really possible back in Paul’s time). Paul was a bold guy who spoke boldly and we could use more people in today’s church like that, if we would listen. The situation Paul is describing could be the near future, as many more people are coming to a belief in Christ, many others will rise up against. just like the men in the beginning of Acts 15, the “false prophets” Paul could be speaking about could be men who have just decided to add their own two cents to what they are supposed to be teaching and then there are possibly men who are confused and teaching something completely wrong. I think probably the first idea. The weird part about this passage to me is that Paul was trying to avoid Ephesus, and while he usually is bold enough to stand up and tell the Christians when they are doing wrong, he wants to go around the long way and possibly deal with this as a private matter. Confusing as Paul’s actions may be, this could be the fact that he didn’t want to cause a church split or even a dispute among the believers..
I’m curious why you seem to have no question (or don’t want to raise one here) that Paul wrote I Timothy, stating that he did so with no other comment? I imagine you know that there are a great many reasons to believe that this letter, with 2 Tim. and Titus, were written well after Paul’s death, probably several decades…. And that all three are more easily understood and interpreted in this light, in addition to the several lines of evidence indicating it pretty clearly. On the other side, there is not a lot of evidence that Paul DID indeed write them. It’s just one of many authorship/dating issues that are critical to an accurate picture of the NT and the early Church. I think that I might “raise that question” in another post in the future, maybe specifically on the Pastoral Epistles. At the very least the speech here in Acts 20 and the “situation” behind the Pastorals are very similar. I have just started teaching through 1 Tim on my Sunday evening Bible Study, so I have been reading more on the authorship in the last two weeks. I am personally OK with the idea that someone created 1 Tim out of Pauline material, in fact, not a few have suggested Luke created the Pastoral Epistles as a kind of appendix to Luke/Acts. The closeness of the Miletus speech to 1 Timothy is remarkable, and might point to a Pauline authorship of the pastorals, scholars tend to dismiss the speeches in Acts as reflecting the authentic voice of Paul as well. There is a circularity to the argument, but I am not sure we can avoid that. Paul is direct with the elders in Miletus; he warns them that they will experience trials in the near future (20:25). Paul desires that the elders keep watch over the congregation of the churches against an attack from a “savage wolf” (P. Long). It is possible that these “wolves” could exist from Greeks or Jews, but also from those in the government, because it seems that wherever Paul goes, change occurs; change that is not always desired by the government or leaders of the community. In fact, there are even threats that may arise from within the church and Paul wants the leaders to be expectant of hard times to come. As P. Long states, 1 Timothy is an example of false teachers who were elders within the Ephesian church. It is an important reminder to look within the context of whom Paul is talking to. Paul wants to warn against the elders who had departed from the teaching that Paul taught and that is whom he is warning against. This has a contemporary application because many times within our churches today, it is people in the church that cause division inside the church. Paul is relaying what an important function it is for those with the task of guarding the church. In the same way, it is relevant for elders in our churches to guard from wolves who may be disguised as sheep. I find the false teachers that Paul is talking about to be very intriguing. I hold the thought that on one hand these false teachers could have been intentionally drawing people away. This could have been motivated by a number of things such as greed, power, and or the own personal beliefs and biases. It only seems possible to me that some of these false teachers were unaware of what they were doing. They didn’t have a proper understanding of the Gospel or Christ’s life etc. that as a result they were teaching thing that were not the truth. In either case I see many similarities between this issue and the churches of today. There are certain those church leaders who preach a different or diluted gospel because they have something to gain from it such as fame, money, or power. Other church leaders today simply teach wrong doctrine with good intentions and without meaning to cause people to stumble. It is a good example of how the Bible is still important today. As Christians and as the Church of God we can learn much to apply to the issues we have today because the church has faced them perviously.